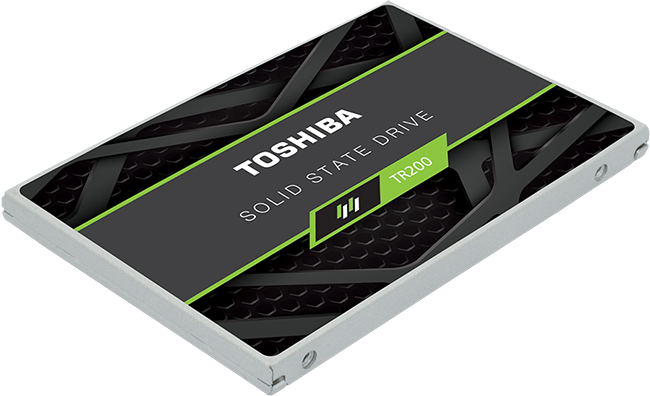 Toshiba has launched a trio of retail SSDs armed with the company's own 3D flash memory. The TR200, now available in 240GB, 480GB and 960GB capacities and presented in a standard 2.5in, 7mm-high form factor, uses third-generation, 64-layer BiCS flash 3D. Let's take a peek at the spec first. The TR200's speed is limited by the Sata 6Gbps interface, and Toshiba is not planning to release it in other flavours - notably PCIe - soon. This has more to do with market segmentation than anything else. The sequential read and write speeds are standard across the three capacities, and we have commonly seen 555MB/s and 540MB/s before. Iops, a measure of how good the drive is when dealing with random, small files is where we'd expect an entry-level SSD to be. Toshiba uses triple-level cell (TLC) memory to achieve the stated capacities with the minimal amount of physical Nand. That can sometimes mean that endurance suffers, as you are writing to cells more often than on single- and multi-level-cell drives. However, advancements in wear-levelling technology mean that endurance is reasonable across all capacities, rising linearly through the range. Putting this into context, the 240GB is capable of sustaining of 60TBW, or 250 full drive writes. This is why Toshiba feels comfortable in arming it with a three-year warranty. There's no drive encryption, which is rarely seen in the entry-level space. 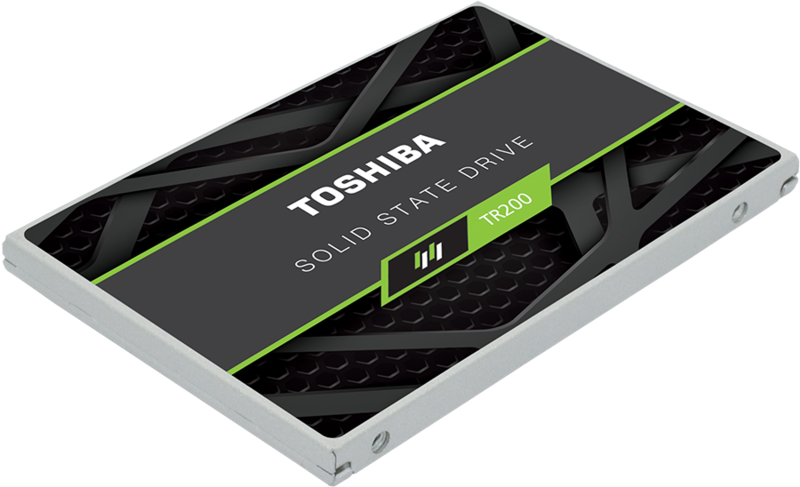 Appreciating that the TR200 doesn't feature specific Dram for buffering duties, unlike much of the competition in this space, Toshiba reckons active power is just 1.6W, or up to 60 per cent less than rival solutions. This doesn't matter much in a desktop machine, but slot it into a laptop and every watt counts. TR200 will also be supported by the usual roster of utilities for OCZ drives, meaning you can check on the vitals and secure-erase if needs be. Speaking of prices, the recommended retail is £75.99 for the 240GB, £135.99 for 480GB and £252.99 for 960GB. Pricing is consistent with the likes of Crucial's BX300, which we view as an obvious competitor, and we have it in a side-by-side comparison in the upcoming performance pages. The standard aluminium casing sports an attractive Toshiba sticker. The PCB can be exposed by popping the sides of the enclosure to reveal a familiar Toshiba TC58 controller - tiny thing, isn't it? - alongside four of the eight 64-layer BiCS chips, with the remaining quartet present on the other side. 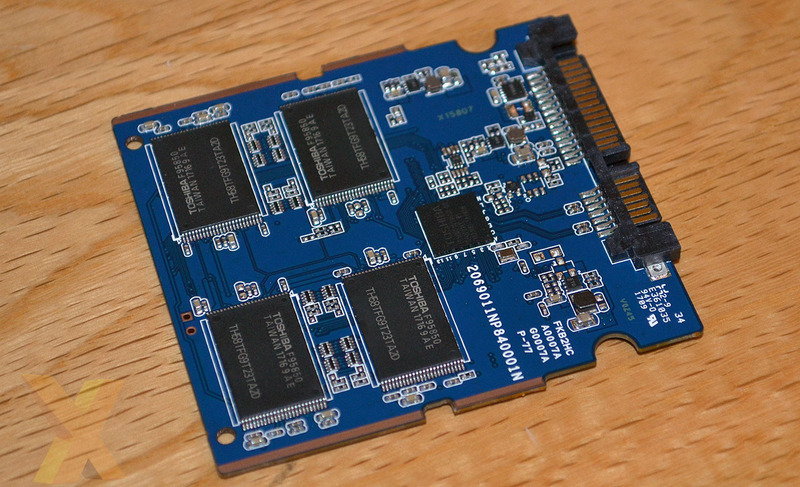 It's always good to see a new range of SSDs focussed on the mass market. Toshiba's TR200 has all the right credentials to be a popular choice in this segment, so let's get to the numbers.